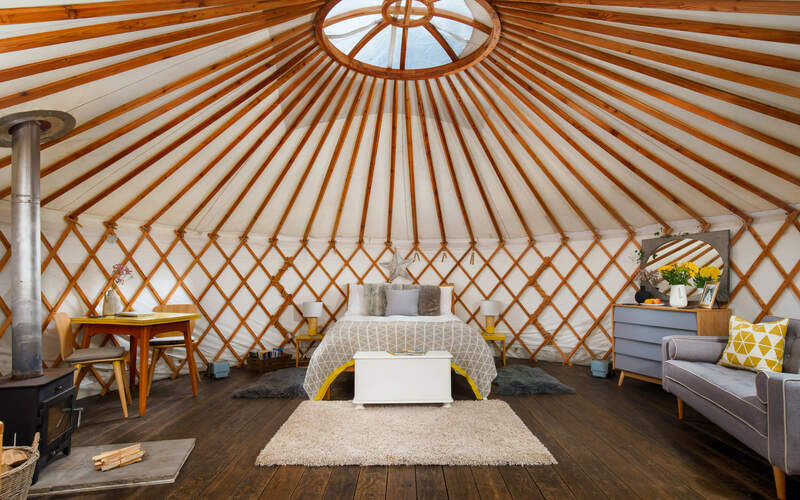 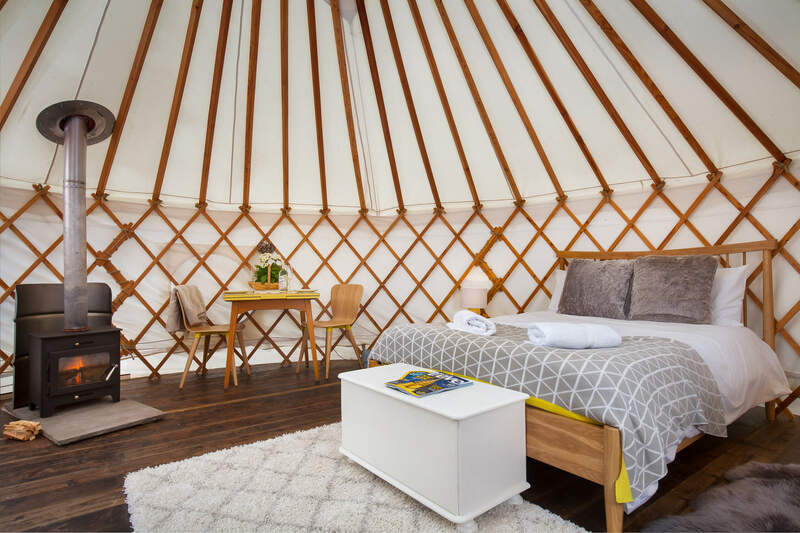 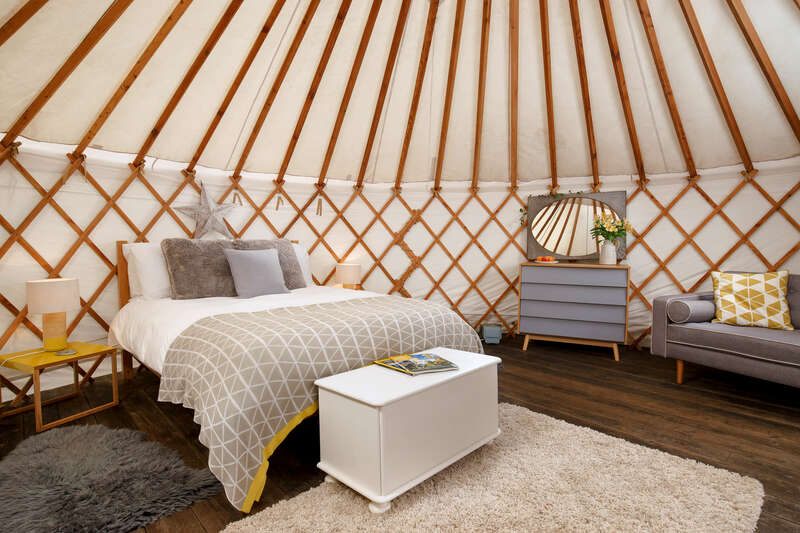 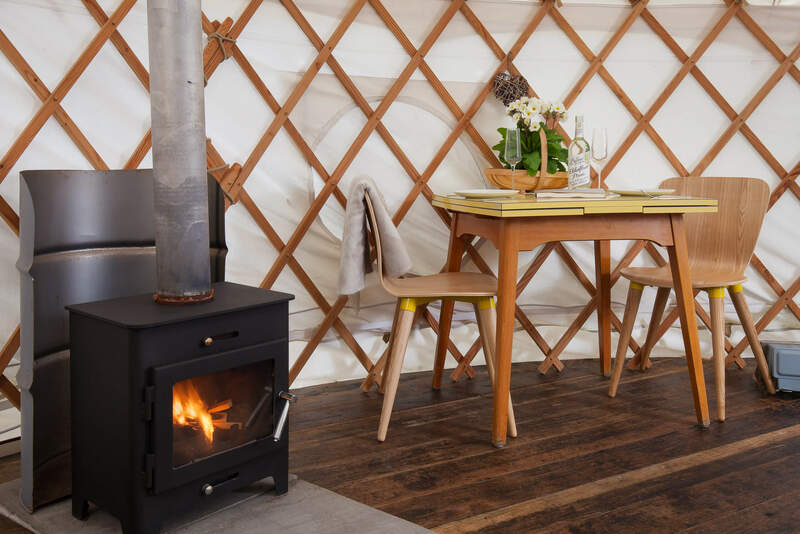 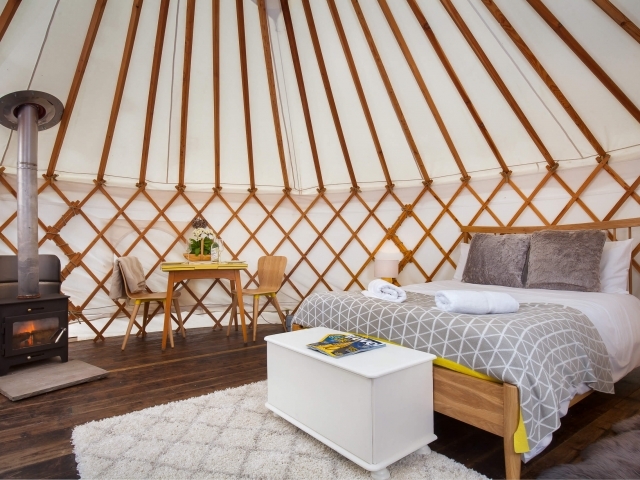 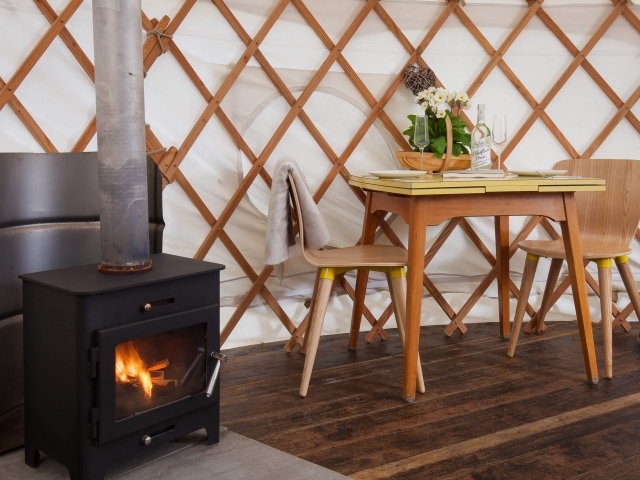 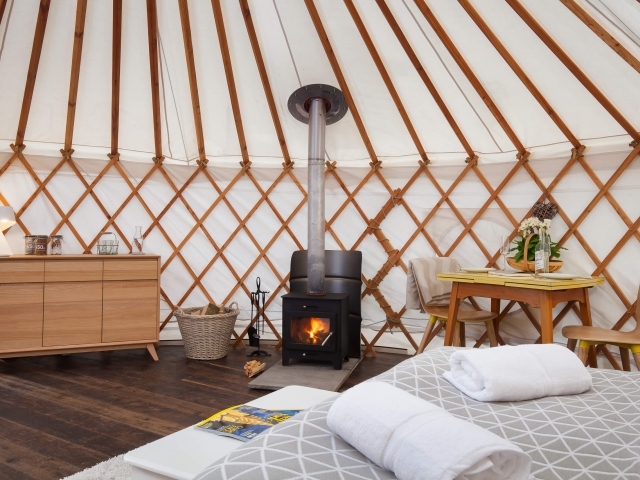 Willow Yurt is the first Yurt you will come to on our site, It is beautifully styled in a Skandi design with soft greys and warm yellows. 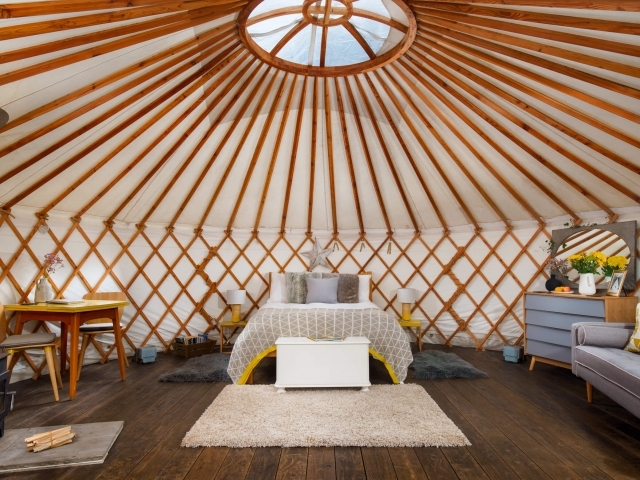 Benefiting from early morning shade this is the Yurt for a lie in on a glorious summers morning! 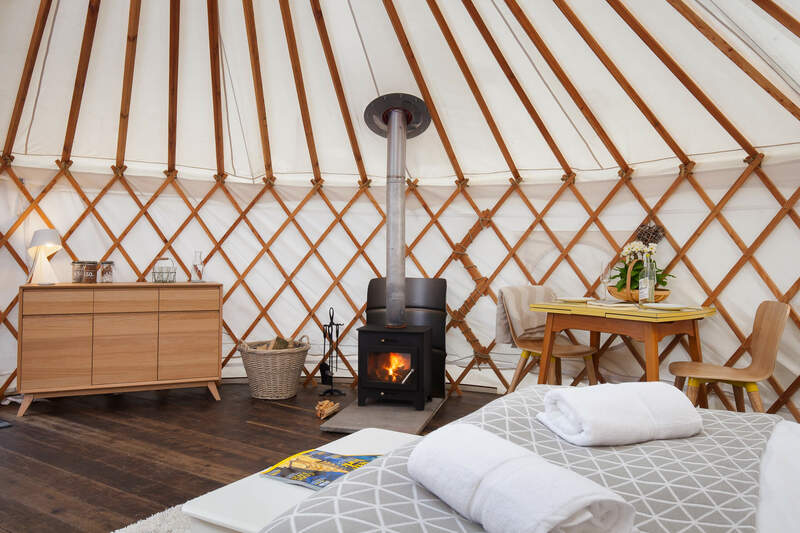 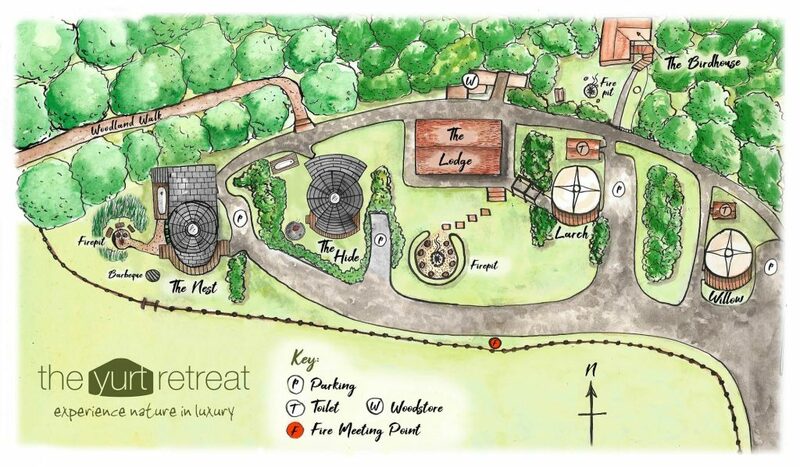 You also have use of the Lodge which is only shared with the guests in Larch Yurt and which offers fantastic extra space and facilities. 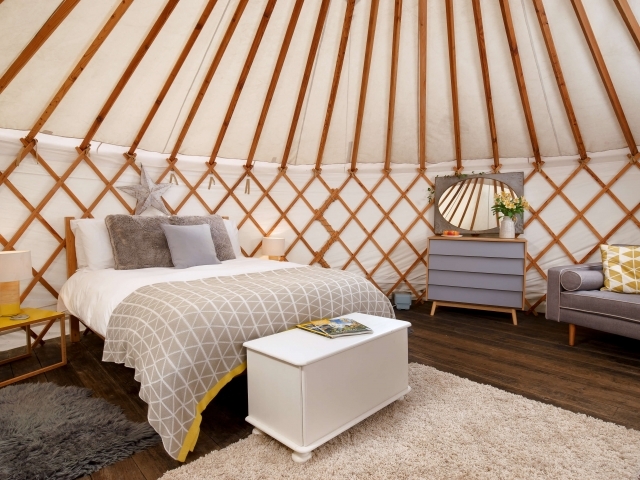 Fixed double bed with fabulous mattress.